Vasodilation is the process of enlarging the vessels that transport blood around your body. When you do that, you allow the blood to travel more speedily to your muscle cells. As a result, vital nutrients and oxygen are able to replenish, rebuild, and regenerate your muscles faster. Vasodilation will also bring on a muscular pump effect while you’re working out, as well a bringing out that much sought after veiny look. In this article, we’ll discover the best vasodilators that can bring on the vasodilation effect. We’ll then break down the vasodilation effect so that you know how it works. Beetroot juice has been getting a lot of positive health publicity recently. The main gist of the reports are to do with its ability to reduce oxygen uptake and increase athletic performance endurance. However, it is the amazing nitric oxide boosting ability of beetroot juice which is our primary concern. Cranberry juice is well known for its ability to increase your HDL (good) cholesterol levels and for its ability to fight against urinary tract infections. However, it also has an outstanding ability to boost nitric oxide production. Research shows, though, that its vasodilatory ability goes beyond increasing nitric oxide levels. Cranberry juice is also able to heal your endothelium. It does this by decreasing the activity of TNF-Alpha, the inflammatory cytokine that is a major cause of arteriosclerosis. 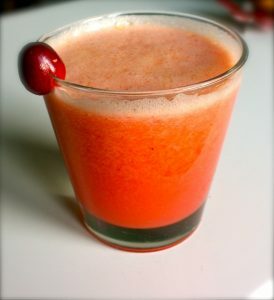 Cranberry juice is also able to boost good HDL cholesterol levels. In addition, it will a do power of good for your digestive system. Pomegranate juice has excellent erectile promoting properties. Studies confirm that is has the power to increase nitric oxide production and, thus, help bring on a vasodilatory effect. 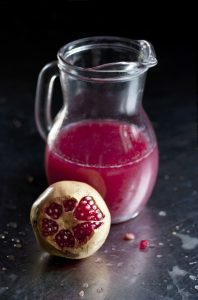 Pomegranate juice also does a great job of protecting nitric oxide from oxidative destruction. 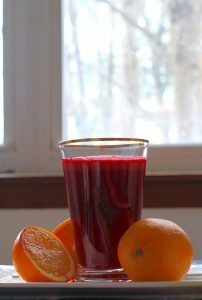 Another huge benefit of this juice is that is very effective at clearing plaque out of arteries. When an artery is clogged up with thick mucous like plaque, the flow of blood is severely restricted. This can have a devastating effect on your ability to get vascular. Pomegranate juice is able to break down and clear out the plaque that is clogging up the arteries, thus allowing for a free flow of blood. It should be noted here that pomegranate juice can react negatively with some medications, including Viagra. A result may be priapism, where you get an erection that sustains itself for hours. Blueberries are regarded by many as a nootropic fruit, due to their ability to provide a whole raft of brain benefits. But their benefits go far beyond increasing your mental clarity. They also provide a lot of goodness to your arteries and your circulatory system. A 2015 study, which looked at the cardiovascular benefits of blueberries on healthy women, concluded that . 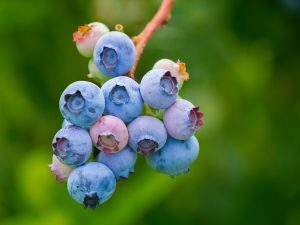 . .
At the conclusion of the study systolic blood pressure was lower by 5.1% and mean diastolic blood pressure was lower by 6.3 in the subjects in the blueberry group, with no corresponding lowering in the placebo group. In addition, nitric oxide measurements were significantly increased in the blueberry group, rising from 9.11 to 15.35 microM, with no change in the control group. In addition to impressively dropping blood pressure, blueberries are able to significantly improve nitric oxide release. The study cited above achieved all these benefits on a dosage of just 22 gram of freeze dried blueberries. That’s just a cup of blueberries every day. In addition to their amazing ability to help bring on vasodilation by way of nitric oxide promotion and reduce blood pressure, blueberries have been shown to . . .
Nitrates are a natural component of many plant foods. They can have a major impact on blood pressure, nitric oxide levels and subsequent blood flow. Foods that are high in nitrates will have a strong vasodilation enhancing effect. When you consume high nitrate foods, they are converted to nitrate by the bacteria in your mouth. Once it passes into the GI tract, nitrate is then converted to nitric oxide. The nitric oxide will eventually make its way back into your saliva as nitrates. It is then recycled to form nitric acid. This result came from just one 220 nitrate serving of spinach. The systolic blood pressure drop was actually 7mm. 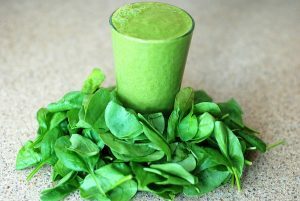 Putting your spinach and other high nitrate foods into a smoothie is an obvious way to overcome the loss of nitrates that occurs through cooking. Of course, you can also eat the food raw. There are advantages, however, to cooking. Sanitization and digestibility are often improved. Also, throwing nitrate rich vegetables into a soup is a delicious way to partake of them. The bottom line is that getting 50% of the nitrates in a food is better than getting none. So, if you need to cook them to enjoy the taste better, go for it. Spinach is the number one highest nitrate containing food that there is. It is packed with nutrients and powerful antioxidants. Other foods that are high in nitrates are lettuce, carrots, radishes, cabbages, turnips and beets. The range of spinach content in foods is quite variable. In fact, there is a 16-fold difference in nitrate content from high to low. Arugula has the highest nitrate content of any food on a per weight basis. Beetroot juice has a number of studies showing that it can boost nitric oxide levels. Cacao is the compound responsible for giving chocolate its distinctive flavour. It also happens to be one of the most powerful nitric oxide boosters on the planet. We know that lowered blood pressure is a sign that your nitric oxide levels have improved. A whole raft of studies have shown the power of cacao to bring down blood pressure levels. Often these reductions have been as much as 5-10 points in systolic pressure. Cacao’s vasodilatory benefits, though, go beyond boosting nitric oxide output. Research has shown that it can also help to heal the endothelium. Within the endothelium, circulating angiogenic cells (CAC’s) are vital for endothelium repair. One study showed that cocoa increased the number CAC’s in the endothelium by a factor of 2. So, cacao has the ability to repair the endothelium from damage that it has suffered in the past. The best type of cocoa to bring about these benefits is the raw, unprocessed type. The problem is that this natural form of cacao has a very bitter taste. 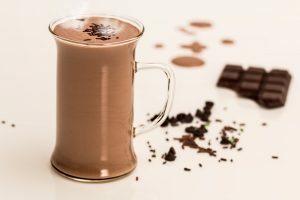 You can soften the taste by making a cacao tea. Simply add the powder to gently warmed water, stir gently and then drink it down. After a few days, your palate will start to get used to the taste. However, you will still probably have to consider this as medicine, rather than as a pleasant beverage. 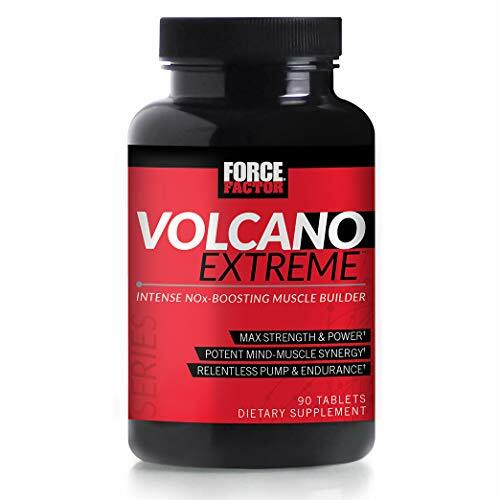 The Volcano Extreme from Force Factor is a vasodilator product which, unlike most of the competition, comes in capsule as opposed to powder form. There are six ingredients in this product, which is an ideal number – too many and the ingredients are invariably under dosed. The ingredient profile of Volcano Extreme looks like this . . .
Nitrosigine is a patented form of Inositol Stabilized Arginine Silicate. This ingredient is designed specifically to enhance your muscular pump when you work out with weights. There are some studies to back up that Nitrosigine has this effect, however, they are all sponsored by Force Factor. There are many gym goers, though, who will testify to its pump inducing effects. L-Citrulline converts into L-Arginine in the kidneys. This directly boots nitric oxide production. Con-Cret is a patented form of Creatine HCI. This adds an extra element to your vasodilator, so that you also get an ATP enhancing effect to allow you train harder for longer. Grape seed extract contains antioxidants that work with Nitrosigine and L-Citrulline to boost nitric oxide levels. AlphaSize is another patented ingredient, this one being a form of Alpha-glycerophosphocholine (or Alpha-GPC). Its main benefit is to boost the mind-muscle connection so that you can train harder. Toothed Clubmoss contains Huperzine, which is another ingredient that boosts the mind-muscle connection. These ingredients combine to make force factor Volcano Extreme an excellent choice to boost your NO levels and bring on a pump effect in the gym. The synergistic effect of the ingredients will give you the pump, the energy rush, strength enhancement and focus that you’re after. 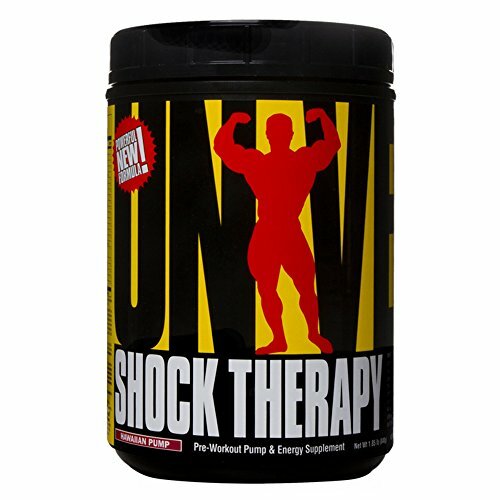 The Universal Nutrition Shock Therapy pre-workout is a mega powerful vasodilator that synergistically combines the big three of creatine, beta-alanine, and arginine. 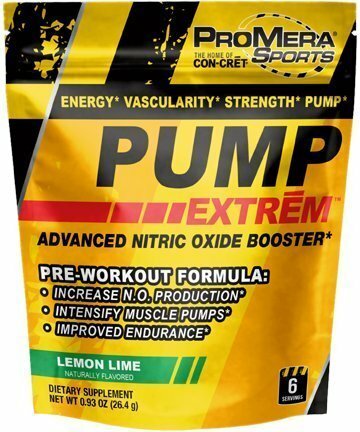 In addition, carnosine and caffeine have been added to enhance your workout energy and endurance. There are no sugars or artificial flavorings in this product On top of all that it comes in some great flavors. One negative with regard to this product is that the ingredients are listed as proprietary blends, so we don’t know the exact amounts of each one. Going by the results that most people are getting from this product, however, we can safely assume that the key ingredients such as creatine, beta-alanine and arginine have been clinically dosed. Another potential problem is that quite a few online reviewers have complained of gas after using Shock Therapy. This is the best value of the products reviewed on this page. Your body has the ability to control blood flow. Without some type of control, there would be an even amount of blood to most of the body. That would be ok if we were inactive vegetables. But we aren’t. Rather we are constantly on the go. So, the body has designed a mechanism to direct blood flow to the areas that need it the most. Imagine your circulatory system as an elaborate array of pipes, with valves. These valves can control both the blood flow as well as directing blood to the areas that need it the most. Nitric oxide is your body’s most powerful vasodilator. Nitric oxide causes the smooth muscle of the vascular wall to help maintain normal blood pressure. Nitric oxide, when at sufficient levels in the blood stream, will help to repair damage done to the endothelium. This will keep it free from plaque formation and calcification. 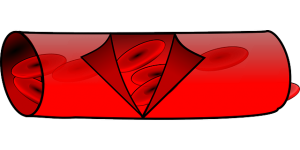 Nitric oxide also keeps blood platelet cells from sticking together. This helps to reduce blood clots to naturally reduce the risk of heart attack. In addition, nitric oxide relaxes the smooth muscle of the vascular wall to properly control blood pressure. Now that you know what you need to help you get that big, veiny, muscular look, go make a good purchase and get after it!